Russian President Vladimir Putin and his Turkish counterpart Recep Tayyip Erdogan have given the command to lay the last pipe of the offshore section of the TurkStream gas pipeline during a ceremony in Istanbul. "We are here to witness a very important event that clearly shows how our countries can effectively work together as partners on implementing the most complicated and ambitious projects," Putin said. 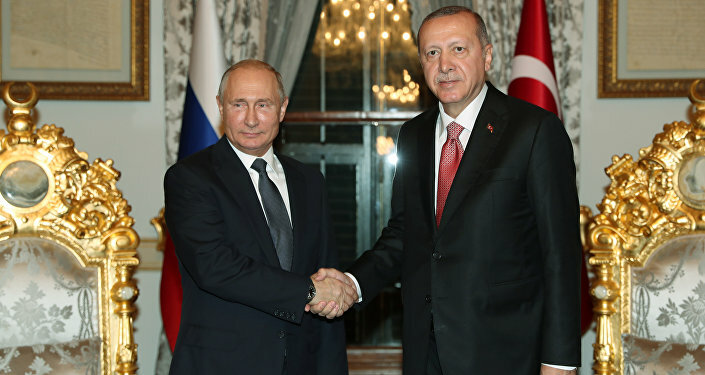 Putin further noted that projects like TurkStream are not directed against anyone and added that the pipeline project was fully in line with Turkey's national interests. "The projects of this kind, and this project, in particular, are not directed against anyone's interests. The projects of this kind have a purely constructive character. They are aiming to develop the relationship between the states, create sustainable conditions for economy development, for the growth of our countries' citizens' well-being based on this," Putin said. The Russian president said he was expecting the onshore stretch of the pipeline to be built just as fast as the offshore one. "We are expecting the work to be done just as fast so as to launch the pipeline as planned before the end of 2019," Putin said. 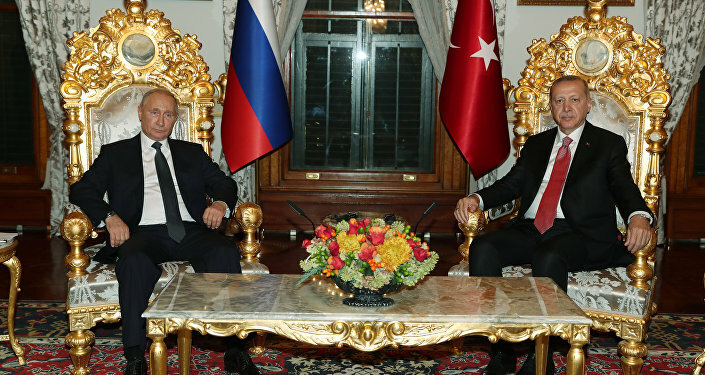 After the ceremony, the two leaders are set to hold talks to discuss the development of the Russia-Turkey relations and the current regional and international issues. 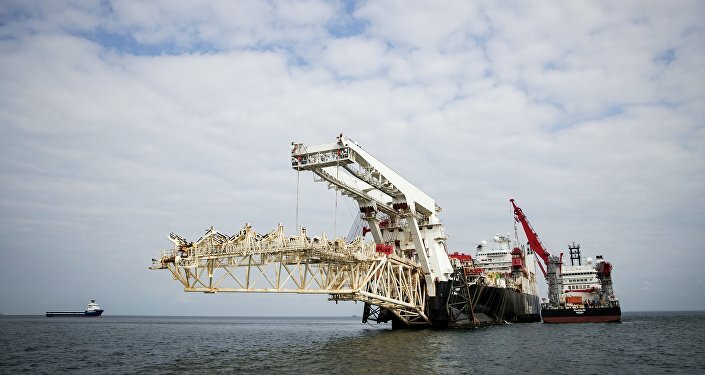 The first leg is set to bring Russian gas across the Black Sea directly to Turkey, while the other one will run across the Turkish territory to its western border, transporting natural gas to countries in the south and southeast of Europe.